Our life is full of uncertainty. Nobody can stop the unwanted incidents which come in a life time. What we can do is to equip us more accurately so that the situations can be more efficiently tackled. So the two important things comes out from the topic that “Uncertainty” &” Equip”. It is very unpredictable that at which point of time one will have to face the odd. So, as the process of making one equipped we have got some proven and acceptable ways. That’s why we call Insurance; the assured way of getting some monetary benefit at the time of emergency to defend the situation. Insurance is a policy which is planned at the present day for a future trouble that may arise. It is an investment for an umbrella for the future rainy day. Actually, just at the time of an emergency or accident, people generally get nervous and out of wit and that becomes aggravated by the insufficiency of money supply to face the situation. Here comes the importance of life insurance. It is called a coverage that’s why. 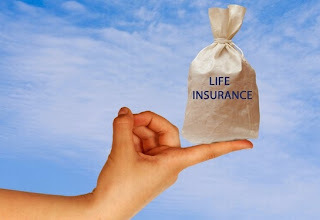 Life Insurance is a contract between the person (policy holder) and the provider paying a stipulated sum of money upon occurrence of death or some critical illness to the beneficiary. For getting such protection the beneficiary is supposed to pay a stipulated sum of money for one time or a specified installment at regular intervals for long period of time. The value of insurance is not actually measured by the amount of premium or by the amount of return received as claim. It stands as a peace of mind to the people who purchase a policy for his dependents to support them during his absence from the world also. There are some other good points also for insurance. Even not being a scheme for investment, life insurance policy ultimately gives a sizeable monetary return at the end of the policy period. Even if there is no claim during the policy period, it is a definite way of getting profitable return with bonus etc. So for the running period it provides peace of mind and at the end it gives a monetary return. Life Insurance is an imperative way of choice for every individual, can be said. A portion of everybody’s income should be spent for buying a life policy from whichever provider you like. At least it reflects some care for your beloved ones of the family. Life insurance is certainly one of the best investments you can make for your family. You may resent having to pay a monthly premium but at least you can be sure that your family's financial security won't be compromised in the event of your death.